Filing bankruptcy is necessary, but you should prepare for bankruptcy filing fees. If you’re not sure how much you have to pay, click here and find out. So your lawyer said you can file Chapter 7 or 13 Bankruptcy. Now you want to start the process right away, but you should ask how much it will cost you before making the jump. Believe it or not, filing for bankruptcy might not be as cheap as you might think. Everything in life costs money, and if you’re filing for bankruptcy you’ve to be prepared for the bill that’s coming. That’s why we’re going to tell you everything there’s to know about bankruptcy filing fees. You’ve to know the little things if you want to be ready for your bankruptcy process. Filing for Bankruptcy: Where to Start? Before getting into the details about how affordable bankruptcy is, we’ve to tell you a bit about Chapter 7 and 13 Bankruptcy. Are Chapter 7 and 13 Bankruptcy the same? Like many things in life, Chapter 7 and 13 Bankruptcy aren’t created equal. Chapter 7 Bankruptcy is filed by people who want relief from their unsecured debt such as credit cards, medical loans, among others. While Chapter 13 Bankruptcy is filed by someone who earns more than the state’s median income and, wants to repay their debt using a 3 to a 5-year repayment plan. Every bankruptcy process is different, and this is one of the main reasons why there isn’t a set cost for it. Yet, the filing fees are fixed by the court. Some of the factors that can determine the cost of your bankruptcy filing are hiring an affordable bankruptcy lawyer, where you live and, how complicated your case is. Bankruptcy Filing Fees: Is a Cheap Bankruptcy Possible? You might be thinking are you kidding me? So I won’t be able to afford it? No, you can file bankruptcy cheap but only if you do your homework. A bankruptcy process goes through several phases, and each one of them involves a certain cost. The most straightforward phase when it comes to cost is the filing of the case. You don’t pay the same amount for filing every bankruptcy chapter. When you file Chapter 7, you’ll be charged a filing, trustee surcharge, administrative, and re-opening a Chapter 7 filing fee. It will depend on your case, but the total filing fees for this chapter are $335. When you file a Chapter 13, you’ll be charged a filing, administrative, and re-opening a Chapter 13 filing fee. It will depend on the complexity of your case, but the total for the filing fees for this chapter is $310. The administrative fee is the only one that will be the same amount for both types of filings. They’ll charge you $75 for this fee. The filing fee for Chapter 7 is $245, while the same is $310 for Chapter 13. The re-opening fee is another one that is different for every bankruptcy chapter filing. They’ll charge you $260 for Chapter 7, while you’ll be charged $235 for Chapter 13. The trustee surcharge fee will be $15 and, only applies to Chapter 7. While filing fees are set by the court, this won’t be the only charges you’ll have to pay during your bankruptcy process. The fees that differ the most from case to case are attorney fees. Attorney Fees: Can I Find an Affordable Bankruptcy Lawyer? Attorney fees may be determined by different factors such as where you live, your case, the attorney’s experience, and expertise, among others. The national average attorney fee of a Chapter 7 Bankruptcy is $1072 according to the American Bankruptcy Institute. These attorney fees can range from $781 to $1,530 in Arizona. While the average national attorney fee for a Chapter 13 is $2,564. These fees can be from $1,560 in North Dakota to $4,950 in Maine. This fee will mostly depend on your case, but anything can happen and that’s why you’ve to be ready. When we talk about how the complexity of your case can add to your cost, we are referring to factors like if you are filing for a personal and a business bankruptcy. Do you have a long list of creditors? Have you filed for bankruptcy in the last 8 years? These are just some of the factors that can make your case more complicated. This can translate into more time in court and, this might drill a hole on your bankruptcy budget. Your lawyer might want to spend more time in court. Because they’re only human and have bills to pay. But, this means that they’ll charge you more for their services. How to Find an Affordable Bankruptcy Lawyer? It will depend on the case and your attorney, but usually, they’ll ask for payment before providing services in your Chapter 7 case. If you’re filing for this chapter, it would be a great idea to ask about their policies during the initial consultation. That way you know what to expect when it comes to payment. You’ve enough dealing with your financial situation; you don’t need any more surprises. You’re looking to run your bankruptcy process as smoothly as possible. 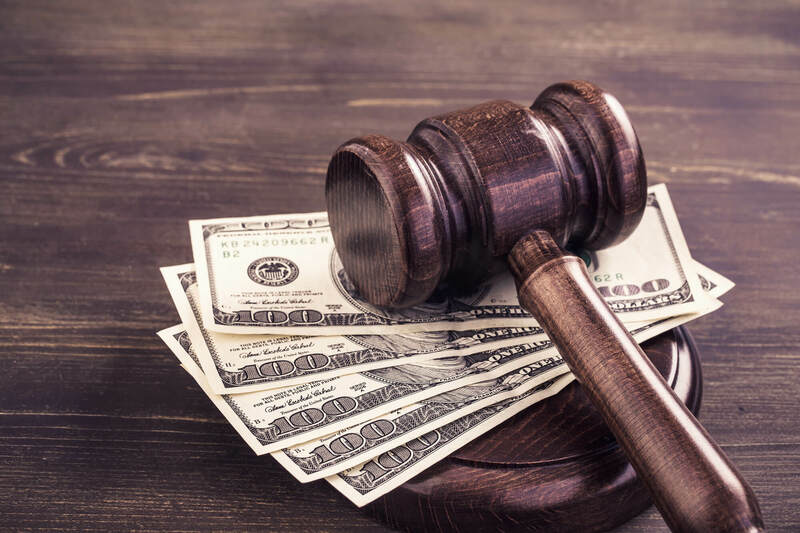 Chapter 13 cases are a bit different when it comes to fees because the judges review the attorney fees unless they fall under the “no-look” amount. This means that if you undergo this type of bankruptcy, the legal system will have your back. They’ll make sure you aren’t being charged a crazy amount for the legal services. Yet, you shouldn’t use this as your way to hire an affordable bankruptcy attorney. Usually, when the judge checks the attorney fees being charged it’s too late and, you’re in too deep to get another lawyer. The best way to find an affordable attorney is by shopping round like you do when you’re getting a loan. Meet with several lawyers and discuss your case. Many of them offer a free initial consultation and, will be more than happy to go over your options. Also this way you’ll get an idea of what approaches can be taken in your case. Some cases might run better if you hire a more experienced bankruptcy lawyer. Their expertise will come in handy, and maybe they’ll be a bit more expensive at first. But cheaper in the long run, because they’ll help you spend less time in court. Can I File Bankruptcy Cheap? Yes, filing for bankruptcy can be cheap! Remember that even though the bankruptcy filing fees are set by the court, you should cover your bases, meet with several attorneys, and ask how much they’ll charge you. This way you’ll be ready, and your bankruptcy process will run smoothly without any surprises. So you’ve decided to file for bankruptcy, and are looking for a bankruptcy lawyer? We can help!